C-CASCADES is seeking to employ 15 Early-Stage Researchers to contribute to a breakthrough in the understanding of the transfer of carbon between land and ocean at the planetary scale and its consequences for atmospheric CO2 and climate. Uni Research Climate invites applications to a 3-year PhD position in computational ocean modelling. For further information, please follow the link above. Application deadline: 27 March 2015. NOC invites applications to a position involving work on the application of coupled hydrodynamic-wave models as well as assessing resources and impacts of proposed schemes across the NW European shelf seas. For further information, please follow the link above. Application deadline: 14 February 2015. The Department of Global Ecology is looking for a postdoctoral researcher that can lead research projects in the field of global climate or carbon-cycle modeling, thereby using global atmospheric general circulation models and/or coupled atmosphere-ocean models. For further information, please follow the link above. The College of the Environment has currently two open positions, one in The School of Aquatic and Fishery Sciences and one in The School of Oceanography. For further information, please follow the link above. Application deadline: Applications should be received prior to 15 December 2014. The Physical Oceanography Department is searching for candidates to work on the Atlantic water boundary current in the Eurasian Basin of the Arctic Ocean, using a combination of mooring and hydrographic data. For further information, please follow the link above. The School of Environmental Sciences at the University of East Anglia has announced an open postdoc position. 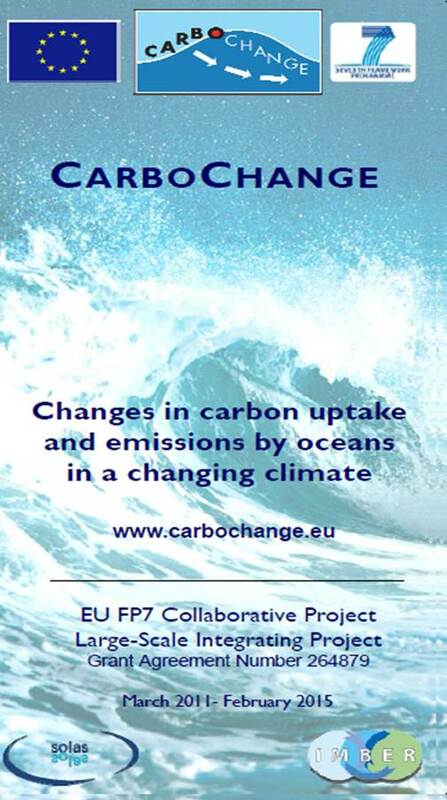 Work will focus on numerical modelling and inverse analysis of North Atlantic air-sea CO2 exchange and is part of the NERC-funded RAGNARoCC consortium project. For further information, please refer to the university’s website via the link above. Application deadline: 12 November 2014. The Department of Earth and Environmental Sciences at the University of Rochester has an open position for a tenure-track faculty in the fields of global climate modeling, earth systems modeling and global biogeochemical modeling. Please refer to the university’s website for more information. Application deadline: Review of applications will begin 20 December 2014. In the framework of the ice2ice project, the DMI is looking for candidates to join the team and work on high resolution regional climate modelling in the Arctic. A detailed description of the open position can be viewed when following the link above. Application deadline: 09 November 2014. The Climate and Global Dynamics Division at NCAR invites applications from researchers at PostDoc level, who are interested in conducting research on ocean biogeochemistry by using a combination of numerical models and observational data. For more information, please read the full job description. Application deadline: 07 November 2014. The Department of Marine Science at the Stennis Space Center has an open position in marine chemistry at the assistant professor level. For detailed information please follow the link above (Job Posting #0003282). Application deadline: Review of applications will begin 08 December 2014. This is page is aimed at providing brief information about potential job openings. The CARBOCHANGE project office provides this information without taking responsibility for its correctness.